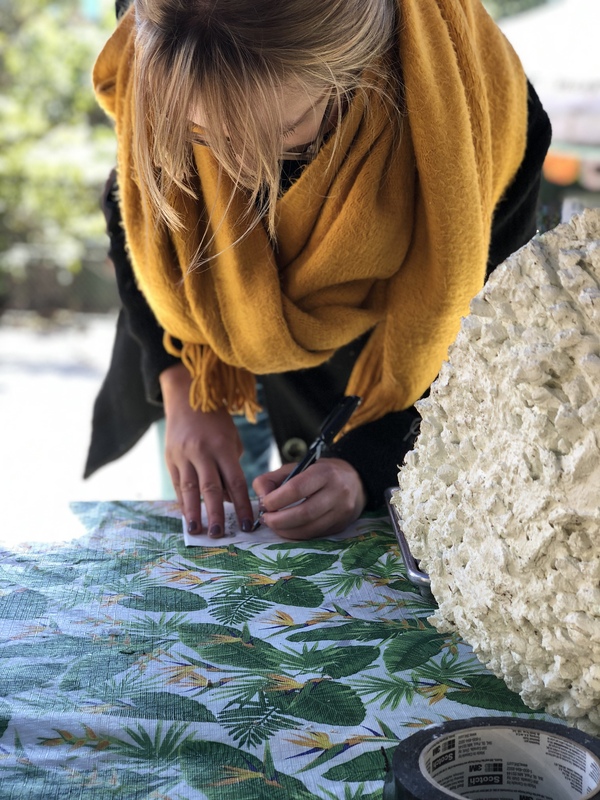 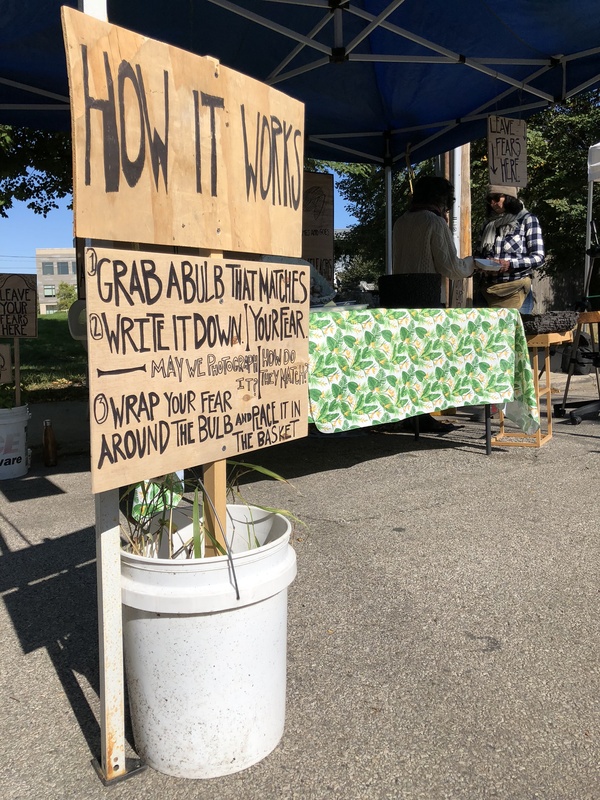 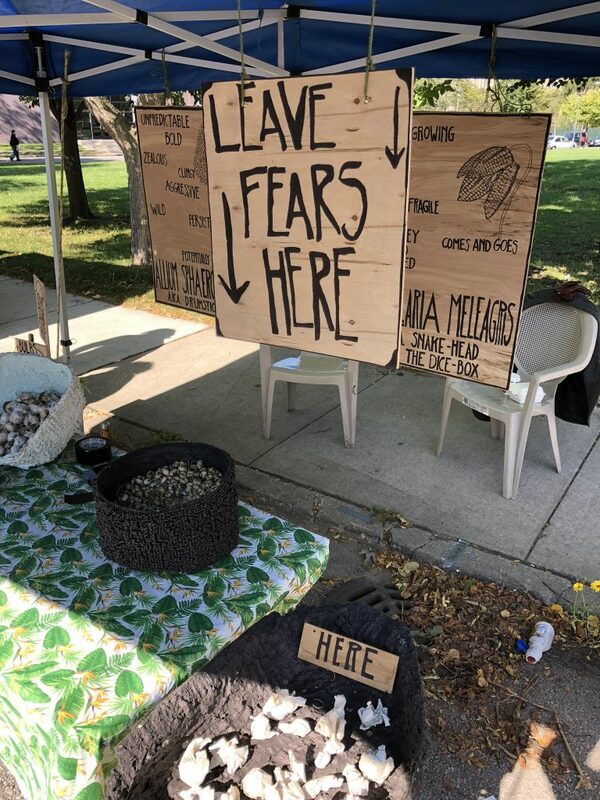 In conjunction with the exhibit Environmental Concerns at Experimental Station, Cream Co. presented Plant Your Fears Here at the 61st Street Farmers Market on October 13th. Cream Co. set up an exchange station that asked participants to write down their fear on a piece of biodegradable paper, choose the appropriate allium bulb to attach it to, and then wrap it around the bulb. 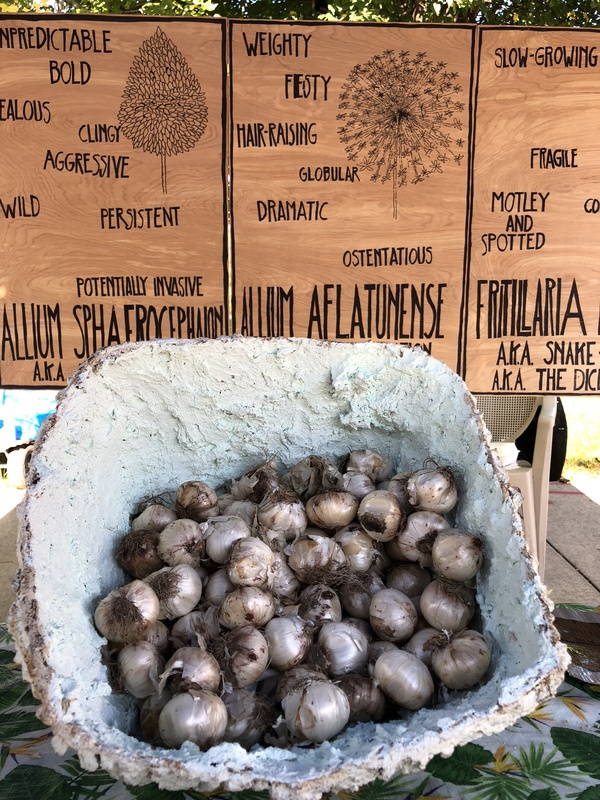 The wrapped alliums that were collected in a sculptural basket identified as “Here” were buried at the William Hill Community Garden.